A team from the Ministry of Political and Public Affairs headed by Hon. Nanette Thomas and a civil society representative from the Civil Right Coalition, Mr. Alphonso Manley has on yesterday Tuesday 25th April 2017 engages the residence of Palmer Street Cemetery, Wellington on the recent breaking of 24 tombs and the carting away of body parts and ornaments. From the Civil Society position, the Coordinator, Civil Right Coalition, Mr. Alphonso Manley expressed delight about this wonderful meeting and commended the stakeholder’s for their relentless support in making this event a success. “This is not the first time we are experiencing this ugly situation as we have experienced such in Wilberforce, Murray Town, Circular Road and Kingtom” he said. 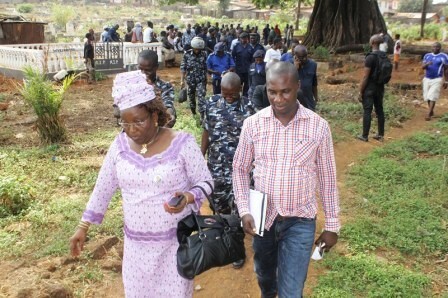 The Minister of Political and Public Affairs, Hon. 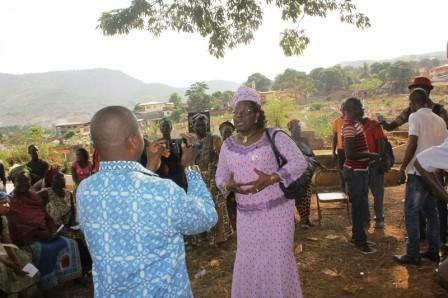 Nanette Thomas thanked the stakeholder’s and note that as Sierra Leoneans we should take ownership of our country. We must allow the dead to rest in peace. She advised the youths to be vigilant and help in the community neighborhood watch in order to prevent intruders into their communities. 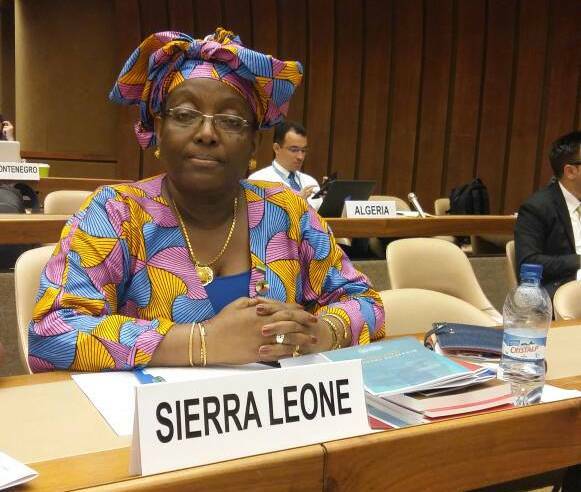 She appealed to the President, Sierra Leone Traditional Healers Union Alhaji Dr. Sulaiman Kamara to help in curtaining the perpetrators and to bring them to book. 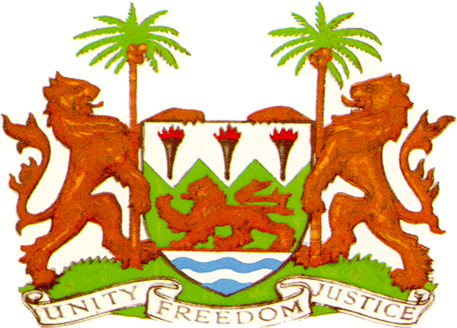 In responding to the Minister, the President, Sierra Leone Traditional Healers Union Alhaji Dr. Sulaiman Kamara described the practice of breaking tombs and carting away chopped off decomposed body parts as devilish. He made this disclosure whiles responding to accusations of them being the perpetrators of the recent cracking open of graves across Freetown’s cemeteries especially at Palmer Street. He blamed the practice on “some evil persons” who are not traditional healers but killers that are chasing money or others who want to become famous in society either in politics or other areas. He made disclosed that these people are interested in human parts such as private parts, tongue, palm, foot, breast among others for rituals to gain fame, be popular and even for political reasons which are not part of tradition. Several contributions from community stakeholder’s including the Police, the Chief, religious leader, the youth and SACOMO representative on issues regarding the welfare of the community and security of the cemetery where highlighted .